Summertime’s sweetness comes in many forms. From the delicious, in-season and abundant produce, to the lush and vibrant flora and foliage and many hours of beautiful sunlight. I haven’t maintained a vegetable garden for the past few season’s, mostly due to the incredible amount of time that a garden requires and I don’t always have. But I am also so incredibly lucky that our home has several low maintenance fruit teas, the fig tree being the largest and most producing of all of them. 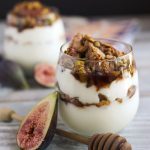 You have certainly seen me post my fair share of fig recipes here on the website, featuring these beautiful figs. To me, figs have become the flavor of summer, since we’ve moved to California and I am constantly inspired to create new things with them. It’s that time again, #DRINKTHESUMMER. Where a bunch of creative folks pull together their favorite summer vibes and bring their drink A-Game. 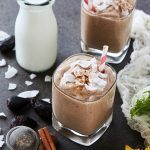 While I find that inspired cocktails, crafted of the season’s best are an amazing way to enjoy the flavors of summer, I generally don’t do much imbibing these days – but an original, non-alcoholic drink, for me, is where it’s at. 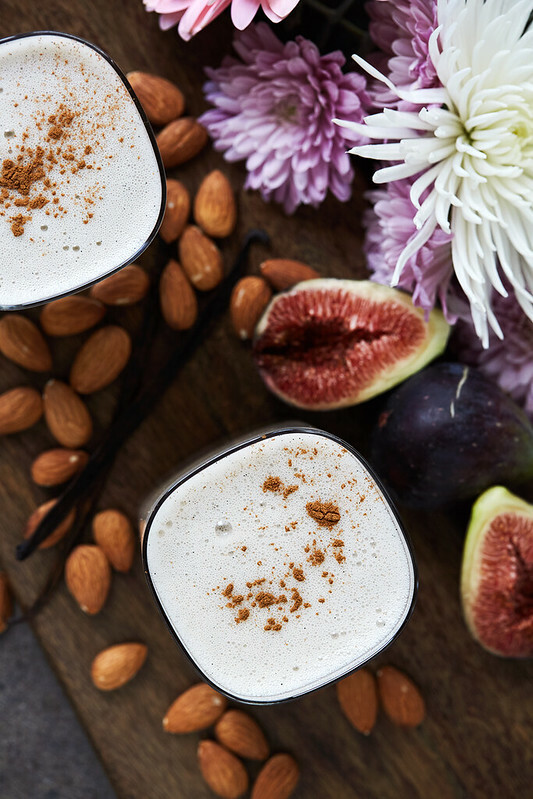 This inspired infused almond milk features the delicious fresh figs from our tree, but in the most subtle of ways. 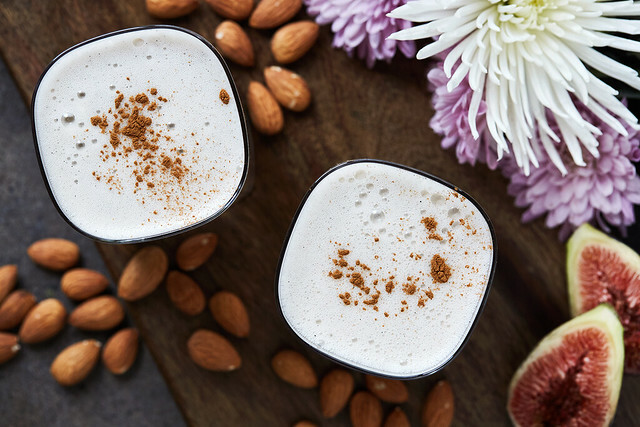 The flecks of vanilla bean pair with the sweet, jamminess of the fig and it all comes together with the creamy almond milk, to bring a rich, sweet, milky drink. 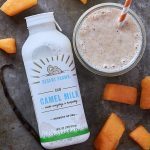 Enjoy this almond milk on it’s own – I personally find the best way to fully appreciate it is iced in a nice tall glass. 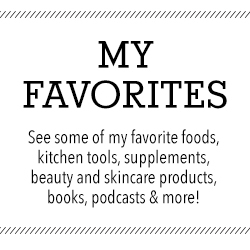 You can also use it as the base for smoothies, chia pudding, overnight oats or even on your favorite cereal. Make a bowl of your favorite berries, add a little toasted nuts on top and pour the fig almond milk overtop. 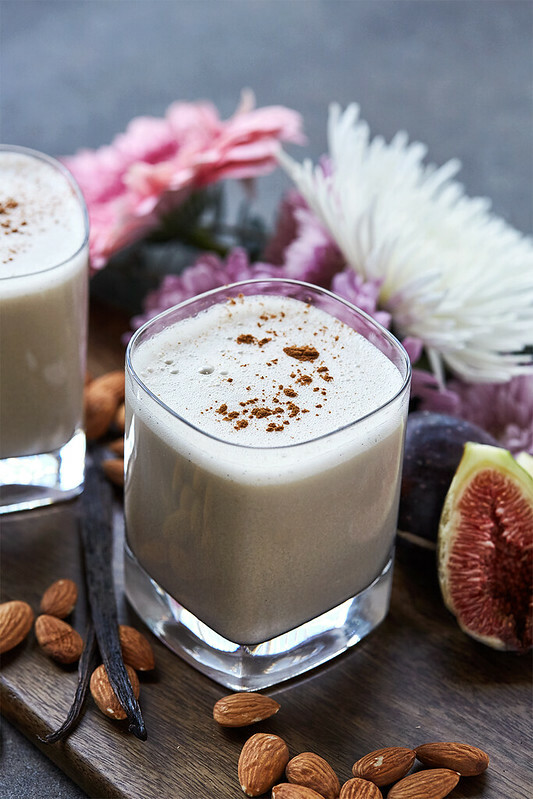 If you are looking for a little cocktail action, shake some of this fig infused almond milk with a little vodka, add a pinch of ground cinnamon or nutmeg and serve it up, chilled. I find when using fresh in-season figs that no sweetener is necessary, but if you want a bit more sweetness, try a little honey or maple syrup, both of which would pair perfectly with the figs. Dried figs will work in this recipe, but will definitely be a bit sweeter. Check out all of the other inspired drinks from the #DRINKTHESUMMER series here. In a large glass bowl, add the almonds and the vanilla bean and cover in filtered water and place into the fridge to soak for at least 8 hours or overnight. Drain the soaked almonds and vanilla bean, discard the soaking water and rinse. 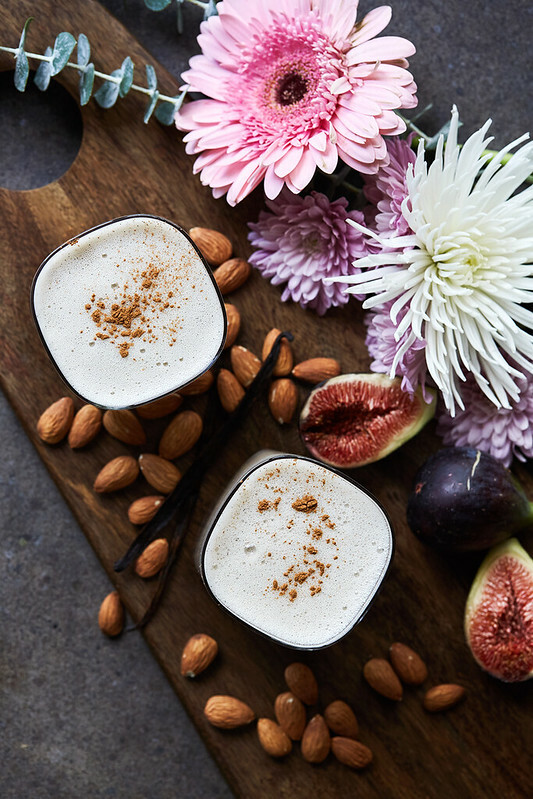 Add the almond, vanilla bean, 4 cups of fresh cold filtered water, the figs and a pinch of sea salt to the pitcher of your high speed blender. Cover and blend on high for 1-2 minutes. It will be milky and have a bit of foam on the top. Strain milk through a nut bag and squeeze into a bowl. These same instructions work for any nut that you prefer to use. You can use cashews, walnuts or other nuts of your choice. Where do you get your almonds? 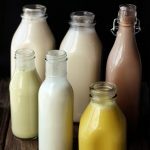 I have been wanting to try making my own almond milk, but cannot find affordable almonds. They are very expensive. Thanks!! 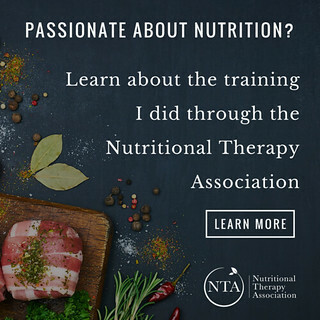 Often I will buy them from local farmers at farmers markets here in the So Cal area because I can discuss their methods and find out if their “raw” organic almonds are truly raw, since many folks still use heat pasteurization, which causes the almonds to lose many of their beneficial nutrients, when raw. 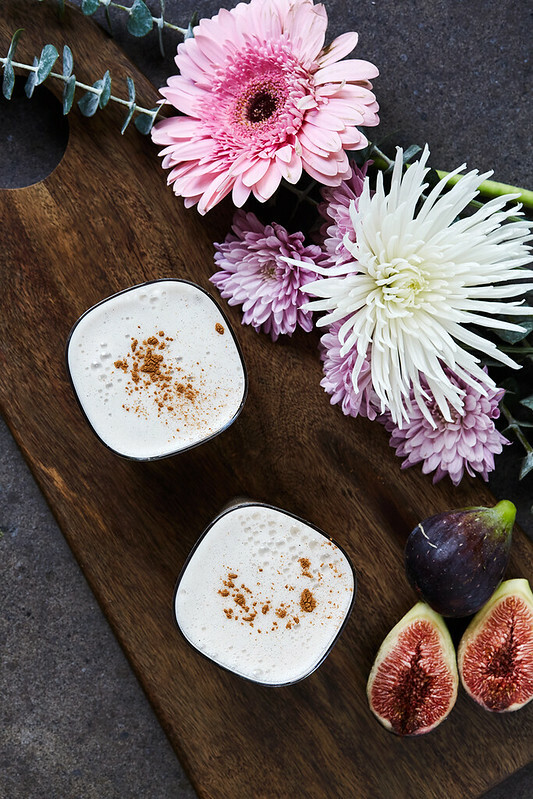 Just a quick question…Do you blend in the whole fig? Or should I scoop out the flesh? Also I did not know the entire vanilla bean could be consumed! 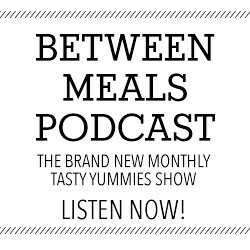 Thank you this sounds delish! I blend the whole fig and yes, I blend whole vanilla beans, often. 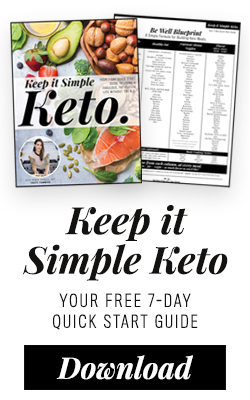 In a high speed blender, you are just left with little vanilla bean flecks and I find this to be far easier and faster that scraping the beans out. 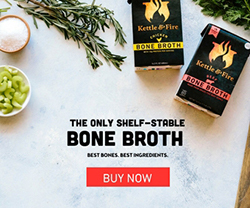 Oh, sounds so yummy ! But it’s the middle of winter, so no fresh figs. Should I soak the dried figs or do they go straight into the blender?